Meningitis is inflammation of the thin tissue that surrounds the brain and spinal cord, called the meninges. There are several types of meningitis. The most common is viral meningitis. You get it when a virus enters the body through the nose or mouth and travels to the brain. Bacterial meningitis is rare, but can be deadly. It usually starts with bacteria that cause a cold-like infection. It can cause stroke, hearing loss, and brain damage. It can also harm other organs. Pneumococcal infections and meningococcal infections are the most common causes of bacterial meningitis. Early treatment can help prevent serious problems, including death. Tests to diagnose meningitis include blood tests, imaging tests, and a spinal tap to test cerebrospinal fluid. Antibiotics can treat bacterial meningitis. Antiviral medicines may help some types of viral meningitis. Other medicines can help treat symptoms. 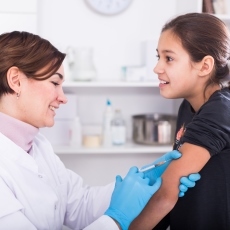 There are vaccines to prevent some of the bacterial infections that cause meningitis. Article: Frontal Sinus Osteoma Presenting with Meningitis and Epilepsy. Article: Guillain-Barré syndrome following bacterial meningitis: a case report and literature review.